Facebook understands that a two-way conversation with customers is essential for the success of your business. Thus, this initiative has been taken by the social media giant to equip businesses with the necessary tools to facilitate smooth conversations with customers. 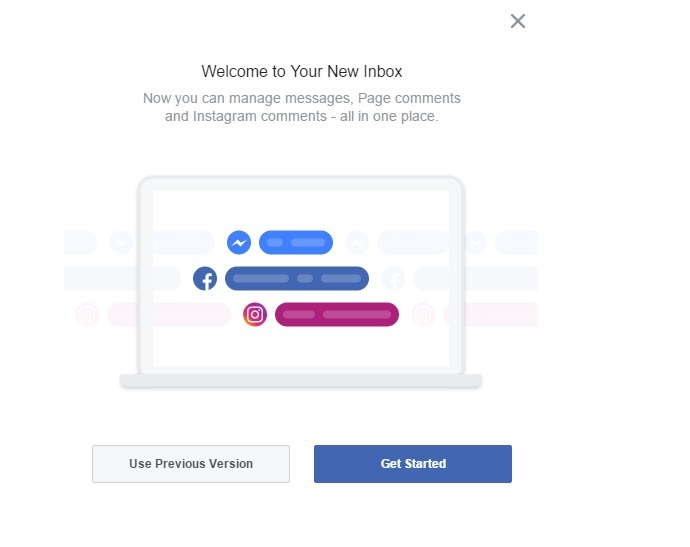 Facebook has recently rolled out a unified Page inbox to enable businesses to manage interactions that take place on the three popular channels— Facebook, Messenger, and Instagram, that are used by millions of businesses worldwide for communicating with their customers. Now, you can respond to the queries of your customers on Facebook as well as Instagram, without having to flip through separate apps, as Facebook now enables businesses to connect these three channels to facilitate a smooth interaction with their customers, as and when required, in a single place. Saves a lot of time by enabling you to respond to your customer queries within an integrated inbox. Makes the process of interaction with customers simple and easy. Enables you to check all the three channels quickly for latest updates without missing any important message. Allows you to take note of reviews and posts by visitors, respond to Facebook comments and messages from customers, along with Instagram comments right from within the single inbox simply by tapping on the content you would like to answer. Allows you to personalise your interactions with your customers. The unified inbox helps you serve your customers by enabling you to view the basic information about individuals who interact with your business. By tapping the individual’s name, you can see his/her public profile along with the interactions they had with your business. You can later use the data for personalising your interactions with them. 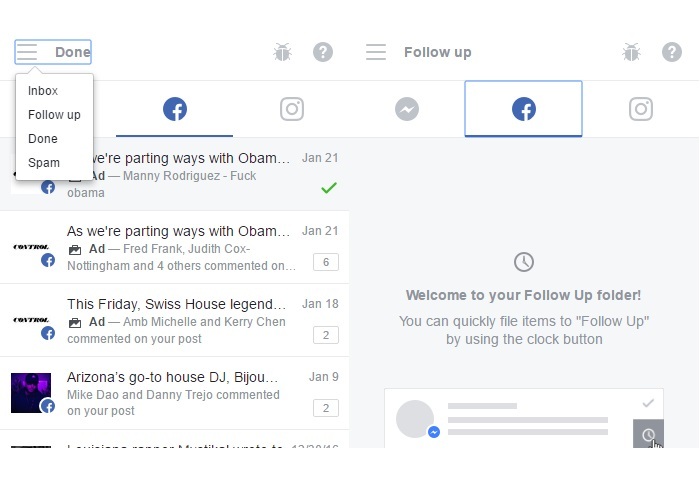 How to get started with Facebook’s unified inbox? Though Facebook’s updated inbox is currently accessible for limited users in the USA, it will be soon launched worldwide for all the users of Facebook Pages Manager App. 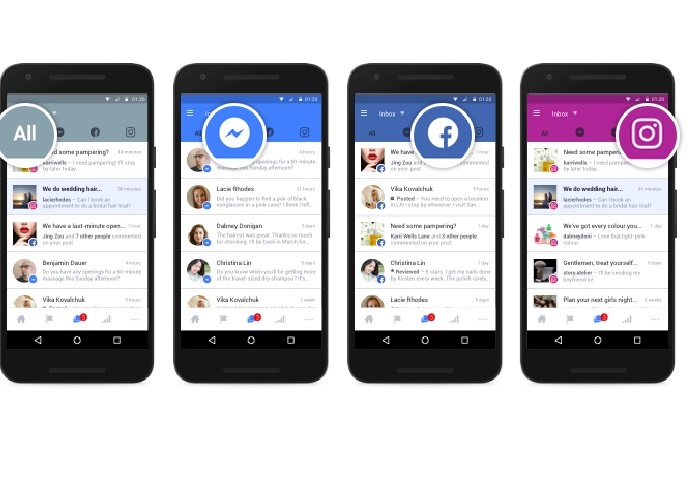 Facebook has also declared that the redesigned inbox will be soon made available for other devices as well. 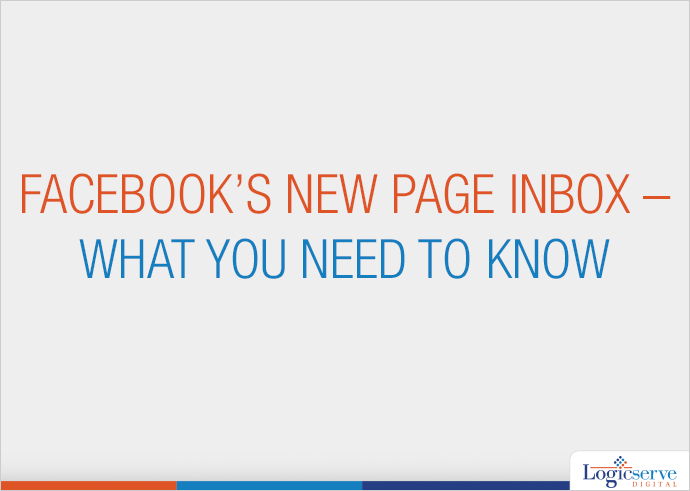 In order to get started with Facebook’s updated inbox, all you need to do is link your Facebook and Instagram account. While you are in Facebook Pages Manager App, you need to click on the messaging tab located at the bottom of the page before navigating to the Instagram icon where you will be prompted to sign in. In case your account is already linked by means of Instagram adverts, you will receive an automatic update and your Instagram comments will start appearing in your inbox. Facebook had already incorporated Messenger interaction into the Page inbox of its users. Additionally, Facebook intends to incorporate further engagement types for enhancing the speed with which users view and reply to their customers’ messages. The update that will be available soon in desktops will feature a sidebar categorised into three different colour schemes for Facebook, Messenger, and Instagram respectively. These colours have been picked to complement the aesthetic of each icon. 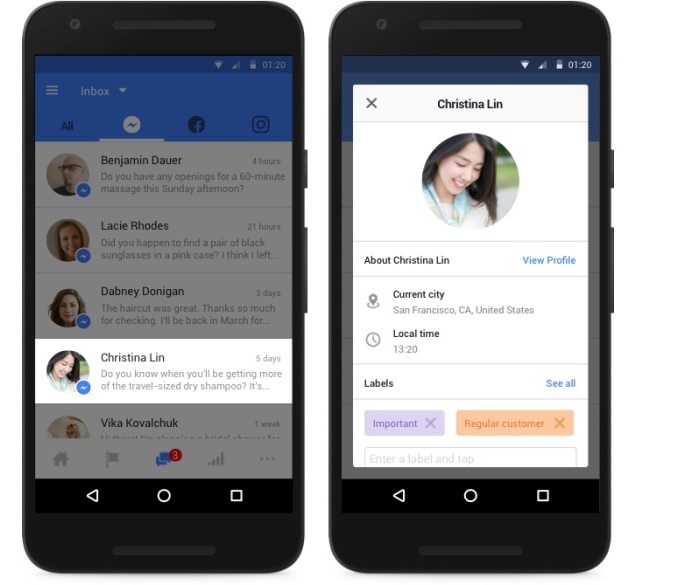 Moreover, Facebook has also incorporated new features into the redesigned inbox. For example, now you can mark posts as ‘Done’ or ‘Follow Up’. Once you do so, the posts will automatically organise themselves in the dedicated folders titled ‘Done’ and ‘Follow Up’. This will no doubt help social media managers to deal with multiple posts with ease.